Motorola Mobility will soon launch a quad camera smartphone in India. 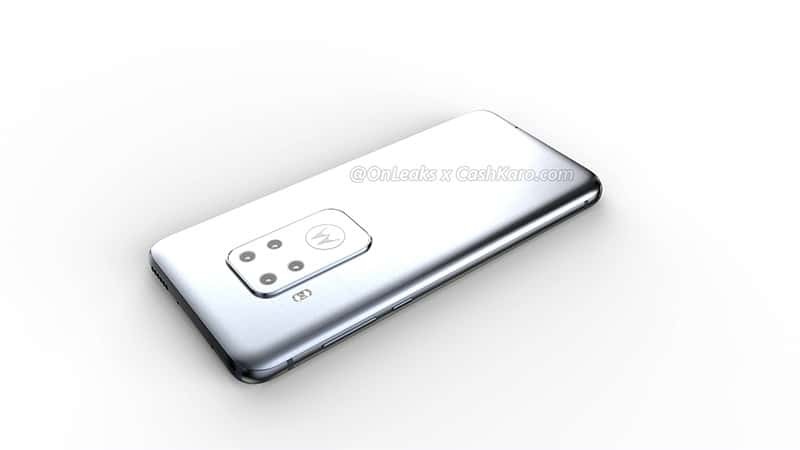 The device set to debut in the new X series is spotted by OnLeaks that has also revealed renders of the device. According to the images, the new smartphone is seen to sport a quad camera array at the back. The Motorola quad camera smartphone will sport a 6.2 Inch screen with an in-display fingerprint sensor and water drop notch. The device will measure approximately 158.7 x 75 x 8.8mm in dimensions. As seen in the images, the Motorola quad camera smartphone will come with a 3.5mm audio jack and a USB-C charging cable. The speakers and the SIM tray will be housed at the top of the device. One of the camera sensors is seen to carry a 48MP label which certainly joins the ongoing trend set by Xiaomi in Redmi Note 7 Pro. While Motorola has been absent in the smartphone space for few months now, it looks like the company was planning to revamp its line-up. The most recent Motorola smartphone are Moto G7, which are also budget oriented. No other details of the upcoming Motorola quad camera smartphone are yet known.